June　29th 9:00~17:00 room 7. July 6th AM. room 2, PM. room 5. Michael, Katsuyo, Yoshio, Akie, Yumi, Seiko, Sachiko (Sanae’s helper), Sanae. 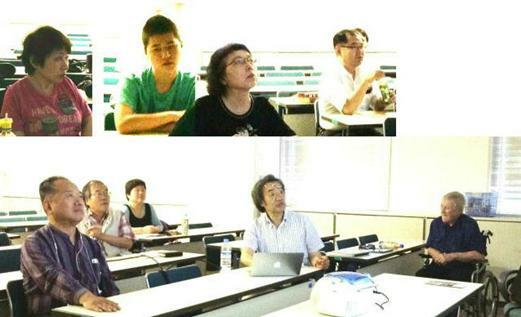 The lecture of Masanori was “verb”. We talked with Doug in St.Louis on Skype. Today’s teachers: Takuya, Kim, Masanori. Participants:Akie, Makkun, Sachiko, Sanae and Walt. June　15th 9:00~17:00 room 2. Yoshio, Shin, Kate, Karin(Sanae’s helper), Sanae. Sanae, Takato, Katsuyo, Shin, Michael Yoshio, Akie, Masanori, Walt. And we were listening to “Coming up by Paul McCartney”. We talked with Doug on Face Time in St.Louis. Time difference between Japan and St. Louis is minus15 hours. 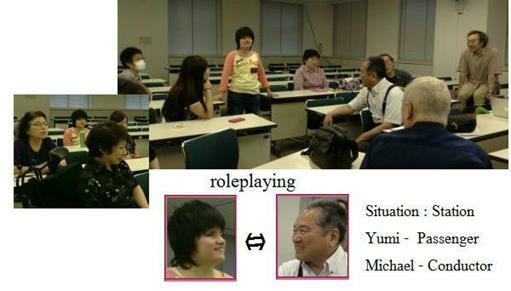 Participants: Akie, Makkun, Walt, Karin, Sanae and one lady.